Last night Ryan and I plowed through 5.15 miles in 47:55 minutes. We passed by 4 different downtown lakes, ran uphill, downhill, on streets and brick roads, through puddles, and apparently through dog poop. Well Ryan ran through dog poop ... I always hate finding it on the bottom of his (or any) shoe once we're back inside. Lucky for Honey it wasn't hers. Once we were back inside our apartment we leashed Honey up and made a quick phone call over to Metro Espresso and ordered our favorite pizza ... pizza picante! The two toppings on this very delicious pizza are pepperonis and pepperoncini peppers. We ended up sitting outside of Metro and ate our pizza. I think someone (Ryan) couldn't wait to walk home before devouring his half of the pizza pie. 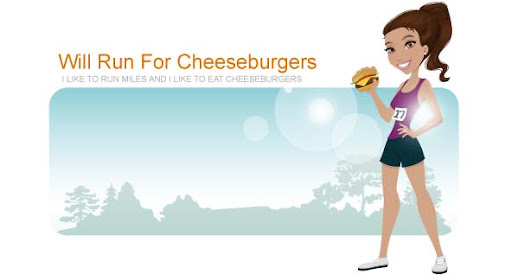 I think I wouldn't mind running over 5 miles all the time if I was rewarded with pizza afterwards. Kind of negates any of the calorie burning benefits from the actual run. Thursdays have turned into tacos and trivia night at Tijuana Flats. It's basically an excuse for me and Ryan to eat massive amounts of tacos while attempting to answer questions correctly during the trivia portion of the night. We play alongside a group of other semi intelligent adults, aptly called "I can't believe it's not gutter," formed by Bree, Chris, Lenarz, and various others depending on which week it is. Last night it was just three of us, huddled at our high top, chugging pitchers of bud light draft. We got 1st place after playing three grueling rounds. Anyone know what nationality Catharine Zeta Jones is? Welsh. Know who actually knew that? Chris. He's really good at random celebrity trivia, oddly enough. Before heading over to trivia I managed to run all around downtown/Thornton Park. I ran over 3.5 miles before calling it quits in an effort to make it to trivia in time. Oh the things we do for draft beer. The first time I had mussels was during a food crawl in NYC with my bestest Jacqui. We were in this downstairs vodka bar and ordered the sweet mollusks in a light white wine sauce with the crispiest french fries on the side. The beverage of choice was one of the best bloody Mary's I've ever had ... and trust me I've had my fair share of bloodies. Since then I've tried to order this dish as much as I can. I finally realized this past Saturday night that I could make mussels myself in the comfort of my own home. After going to 2 different supermarkets I finally bought a 1 pound of what I hoped was fresh mussels. I used one of my favorite websites, Epicurious, to find the perfect recipe. Cook garlic and red pepper flakes in oil in a skillet over moderate heat, stirring, until fragrant but not browned, about 2 minutes. Add tomato purée, tomato paste, herbs, olives, and wine and simmer, uncovered, stirring occasionally until sauce is thick, about 15 minutes. Cook angel hair in a pot of boiling water until al dente, then drain in a colander. Serve angel hair with mussels and sauce. The verdict? Delicious! The pasta dish was so very spicy ... just the way Ryan likes it.